This is the third book in a series of Across the Life Span volumes that has come from the Biennial Life Span Development Conferences. The authors--well known in their fields--present theoretical and research issues important for the understanding of temperament in infancy and childhood, as well as personality in adolescence and adulthood. Current findings placed within theoretical and historical contexts make each chapter distinctive. 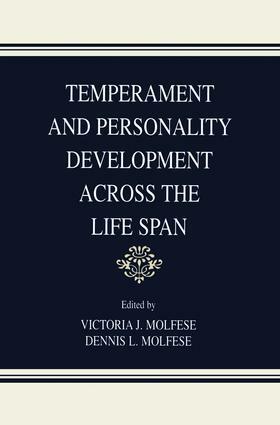 The chapter authors focus on their work and its implications for temperament and personality issues across the life span. In addition, they include summaries of research by other investigators and theorists, placing their work and that of others in a lifespan perspective.